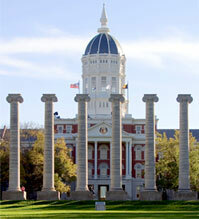 WHAT: A major announcement regarding a gift to the University of Missouri. This gift will support the MU Libraries and scholarships in the MU School of Health Professions. NOTE: The Ellis Library Colonnade is located on the first floor of the library, just inside the north entry to the library from Lowry Mall.